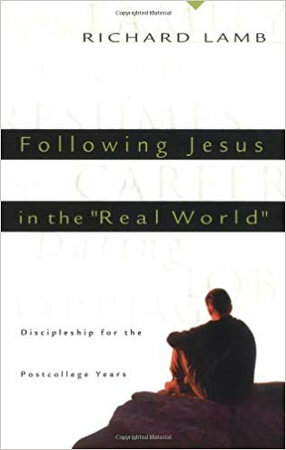 What does it mean to follow Jesus after college? If it was ever easy to graduate from college, choose a direction, and move on in life, it’s not easy today. The terrain is unmapped, the destination uncertain, the stakes high. To add to the pressure, Christians often find themselves looking back nostalgically on their school days. Then they knew genuine community, found time to pray, weren’t obsessed with money. The “real world” they were promised (or threatened with) during college turns out to be a maze in the haze. Where is God in all this? Richard Lamb deftly blends scriptural insights, stories of recent graduates, and his own life experience to offer sound advice and practical encouragement for a confusing time. As he shows time and again, on matters from jobs to ministry, discipleship can continue after university. Whether you’re just finishing a degree or graduated a decade ago, if you look back longingly on the spirituality of your college years and wonder how you can regain it, this the book for you.